Sadly, the quince is a fruit that is often overlooked and under appreciated. Unlike it's cousins the apple and pear, it can not be eaten raw, requiring baking or poaching to release it's true beauty. But this small inconvenience shouldn't deter you from trying it. The rewards are plenty. A bowl of ripe quince is a lovely sight to behold. It will perfume an entire room, filling it with a scent of pear blossoms, rose petals, and narcissus. It has many uses, making incredible jam, pie, compote, cakes, in addition to enchancing savory dishes like Moroccan tangine beef or lamb. For my purpose, I am poaching the quince in a light and simple syrup. 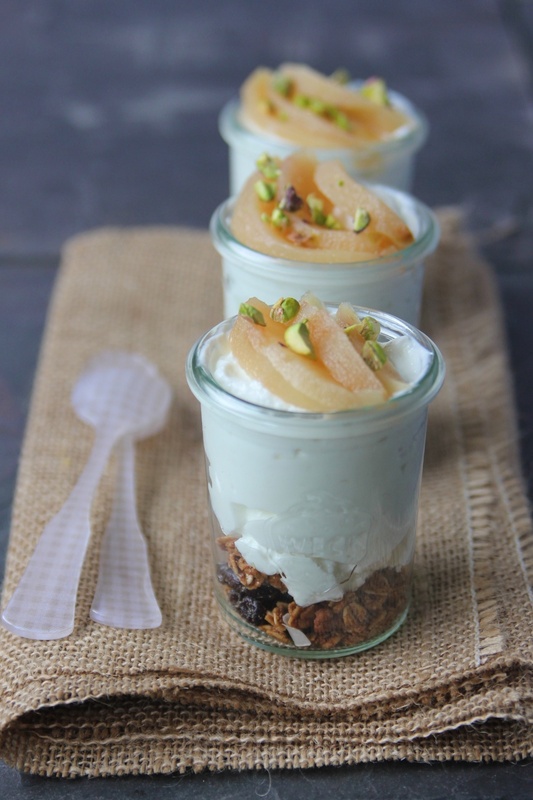 I like adding the slices of fruit to my oatmeal or yogurt in the morning. 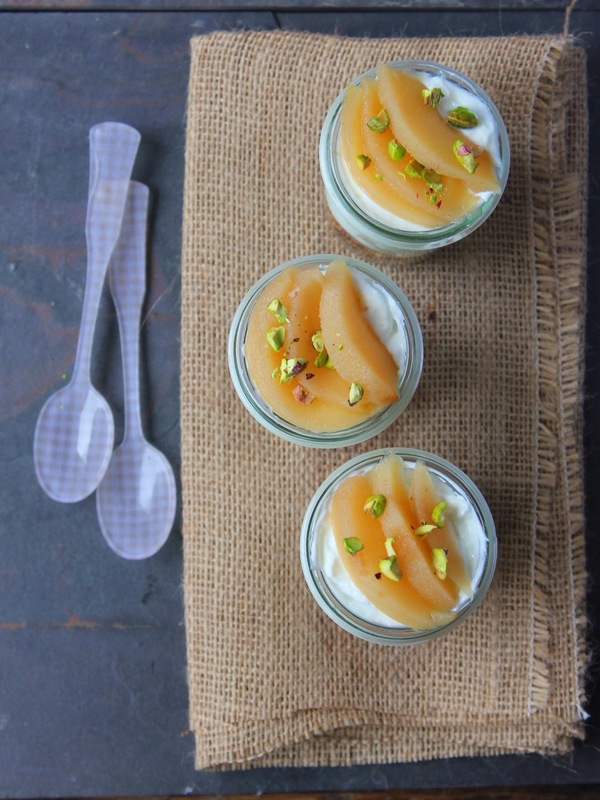 They would also be delicious accompanying a slice of cake, a scoop of ice cream, or just simply in a bowl. 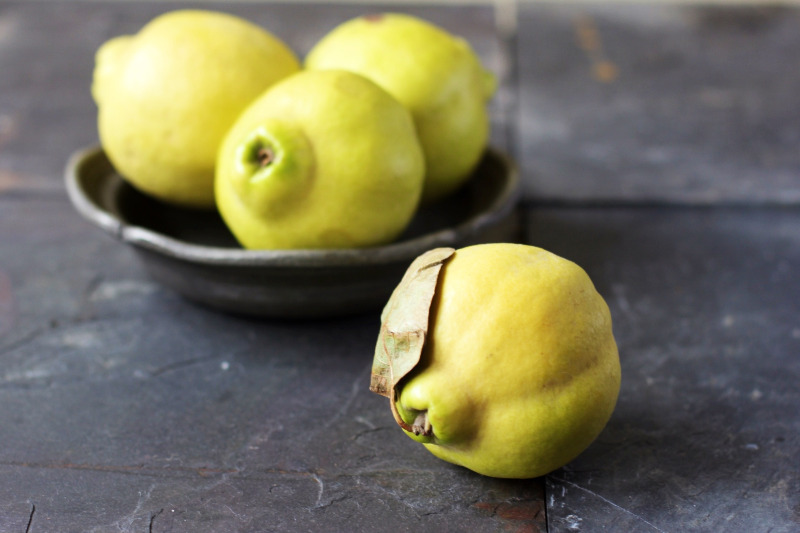 You can find quince in most markets September through December. Choose fragrant fruit that have bright yellow skin and are firm to the touch. Peel, core, and slice them as you would an apple. Like apples, their flesh oxidizes quickly, so it's best to have your poaching liquid ready before you prepare the fruit. In a saucepan, water, sugar, lemon slices and vanilla are made into a simple poaching liquid. 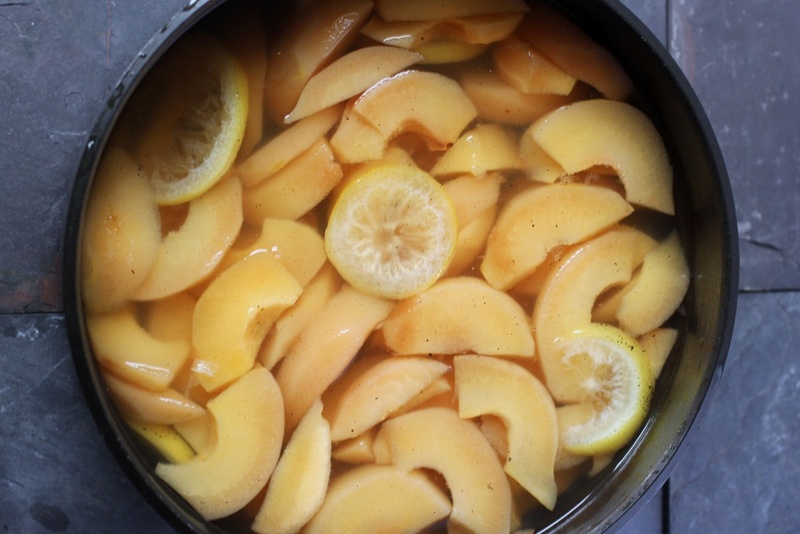 The quince are peeled, cored, sliced, and simmered in the liquid until softened. Their color will change from white to a rosy pink and will deepen in hue with age. Vanilla bean is split and the seeds scraped into the sugar syrup. In a 4 qt. pot, bring sugar and water to a boil, simmering until sugar is dissolved. Quarter, peel, and core quince and slice the quarters into 1/4 inch wedges. 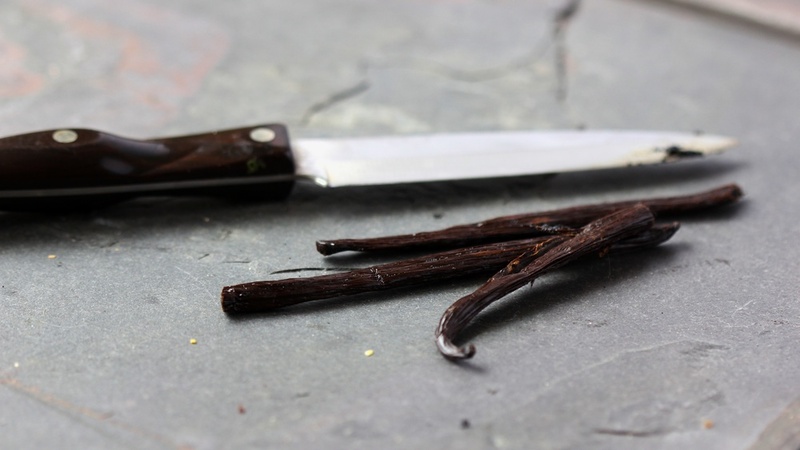 Split the vanilla bean and scrape the seeds into the sugar mixture. Add the bean pod, lemon slices, and quince wedges to the syrup. Cover the surface of the poaching fruit with a round of parchment paper to keep the fruit submerged and weigh it down with a plate. Simmer slowly until the fruit is softened, about 45 minutes. When tender, ladle the fruit and syrup into clean containers, cool, and keep refrigerated, tightly covered for up to 2 weeks.